Agriculture Secretary Sonny Perdue swears in Scott Angle, left, as the new director of the National Institute of Food and Agriculture. At right, holding the Bible, are Angle’s parents, Anne and Jay Angle. 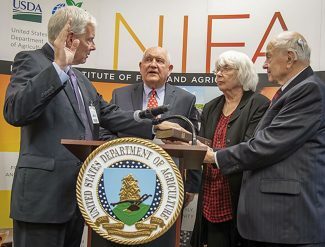 Agriculture Secretary Sonny Perdue swore in Scott Angle as director of the National Institute for Food and Agriculture amidst controversy over the Trump administration's plans to relocate most NIFA and Economic Research Service employees outside the Washington metropolitan area. Chavonda Jacobs-Young, the Agriculture acting deputy undersecretary for research, education and economics, opened the ceremony by saying that she and NIFA employees were happy that "help is on the way." Perdue noted that Angle, who taught at the University of Maryland and the University of Georgia before becoming head of the International Fertilizer Institute in Muscle Shoals, Ala., has worked with the Agricultural Research Service for decades. Angle seconded that point, saying he was "thrilled" to be at NIFA and that much of his career was based on the "good work" ARS scientists have done. Noting that he wanted to tell the attendees, mostly NIFA employees, about his background, Angle said he was born in Michigan, but grew up mostly in the Baltimore area. He received a bachelor's degree in agronomy, a master's in soil science, and a doctoral degree from the University of Missouri. ▪ Nutrient management of the Chesapeake Bay, which he noted has improved in recent years. ▪ Keeping toxic elements, particularly heavy metals, out of the food chain. ▪ Phytoremediation, technologies that use living plants to clean up soil, air, and water contaminated with hazardous contaminants, on which he conducted research with New Zealand specialists. As dean and director of the College of Agricultural and Environmental Sciences at the University of Georgia for 10 years, he said, he worked with Perdue, who was then governor, on a regular basis and learned that Perdue "had a deep and abiding commitment to education." In his most recent position as president and CEO of the International Fertilizer Development Center, Angle said he had worked with some of the poorest farmers in the world to help them grow food and support their families. The center's initial work focused on soil improvements, but has since expanded all the way to helping them market their products, he said. Angle said he feels "well prepared" for the NIFA job. NIFA, he said, must keep the American farmer productive and efficient, but " more than anything else making a decent living." A lot of other countries, particularly China and Brazil are "nipping at our heels" and "the only way to keep ahead of that curve" is the work that NIFA does combined with private industry, Angle said. He also noted that his responsibilities would not be limited to research, but also include extension. He praised the role that 4-H has in educating young people. 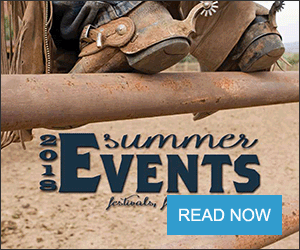 Teaching is his "bedrock," Angle said, adding that no other country trains its young people for agriculture as well as U.S. land grant institutions do. The mission of the land-grant schools is the same as when they were started, he said: to make sure the U.S. agricultural system remains healthy. Ricardo Salvador, senior scientist and director of the Food and Environment Program at the Union of Concerned Scientists, noted in an email today that more than 1,100 scientists have opposed moving NIFA out of Washington. "Dr. Angle takes up the reins at a critical time for NIFA, and for the role of science at the USDA," Salvador said. "With a politically-motivated relocation of NIFA on the horizon, researchers working on critical food and farming challenges across the country will be looking to him to safeguard the integrity of science the agency pursues. In addition, it will be up to Dr. 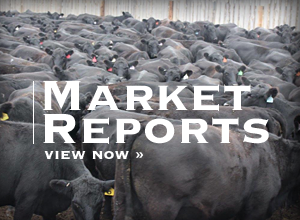 Angle to defend NIFA's budget from short-sighted cuts that the White House and Secretary Perdue have already signaled for next year."